The A.A. Al Moosa pavilion welcomed the visit of His Highness Sheikh Humaid Bin Ammar Al Nuaimi of Ajman who was received by Mr. Abdullah Ahmed Al Moosa, founder and owner of A.A. Al Moosa Enterprises, and expressed his fascination by the portfolio and history of the company, and the iconis three upcoming hotels in the Palm. 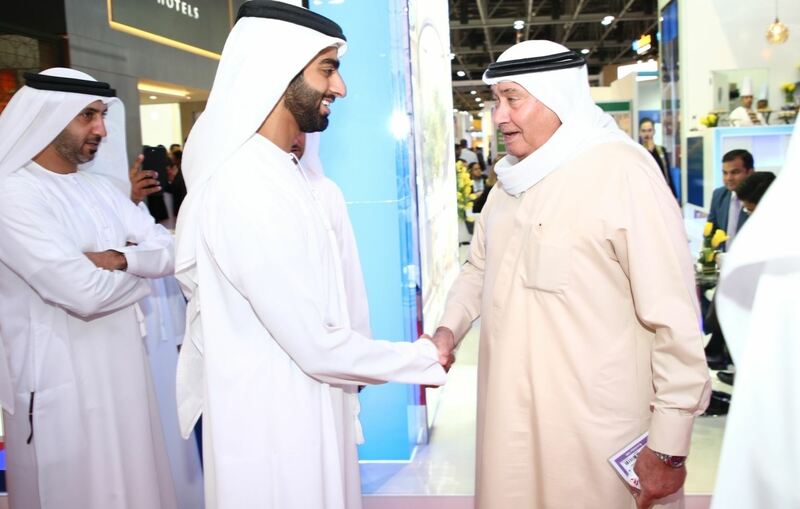 The pavilion drew a large number of visitors and served as a key platform for networking and meetings between government officials, key chain hotels executives, major tour operators, partners and representatives of leading travel and tourism companies including the media. The highlight of the Group’s participation was the unveiling of three iconic hotel projects that will be opening on the Palm namely Hilton The Palm, TAJ Exotica Resort & Spa and Marriott The Palm. 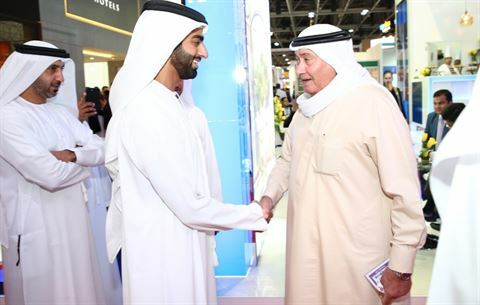 The hotels with a target opening of 2019 will bring an additional 1,500 rooms and suites to the current inventory of hotel rooms in Dubai and will increase the company’s portfolio to a total of 4730 rooms. In addition to Hilton The Palm, TAJ Exotica Resort & Spa and Marriott The Palm, other hotel properties that the Group currently owned were represented at the show such as Hilton Jumeirah Beach, Hilton Salalah, Hilton Creek, Four Points by Sheraton Sheikh Zayed Road, Four Points by Sheraton Downtown Dubai, Ramada Plaza JBR, Ramada Hotel & Suites Sharjah and Crowne Plaza Muscat.